As bloggers/webmasters, all of us want to promote our blog or website for more traffic for reaching more markets and to increase revenue. Submitting your blogs to various blog directories is one of the best tactics for improving blog/website traffic and to rank on valuable keywords. This exclusive list (created by @Sharatnik) includes the following submission categories. Websites for submitting RSS field. Keeping a notepad file with the following details might help to simplify the website submission task. 1. Websites where links can be submitted directly. Give us proper credits if you are interested to re-publish this list on your blog or any forums. Appreciate a social media share if you like this article. 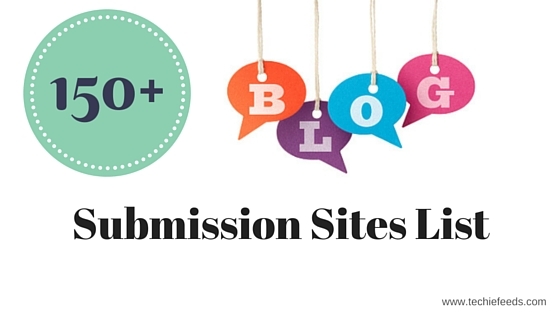 Do share more list of site/blog submission websites via comments if you have.